For him the solution is, first and foremost, greater self-reliance, especially in the areas of food and energy. By avoiding any off-farm inputs (fertilizers, minerals, and animal manures), Bonsall has learned how to practice a purely veganic, or plant-based, agriculture--not from a strictly moralistic or philosophical perspective, but because it makes good business sense: spend less instead of making more. 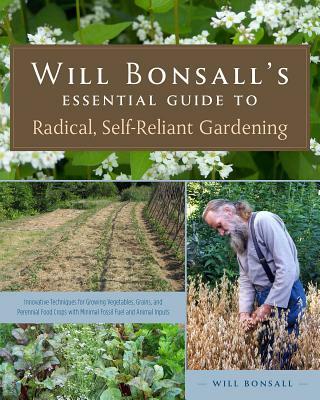 What this means in practical terms is that Bonsall draws upon the fertility of on-farm plant materials: compost, green manures, perennial grasses, and forest products like leaves and ramial wood chips. And he grows and harvests a diversity of crops from both cultivated and perennial plants: vegetables, grains, pulses, oilseeds, fruits and nuts--even uncommon but useful permaculture plants like groundnut (Apios).